After several years of searching the web I ran across the Hillbilly Music Group on Yahoo sometime back. That also led to a couple of other Groups which I also joined. It took several days of searching the archives but the information found confirmed what I had already discovered, helped me make corrections and added more information. If you are interested in discussions of older Country Music may I suggest you join the Yahoo Group "Classic-Country-Music-1940s-to-1970s" who's owner Larry Davis has helped with information. Two others, Jim Marchant, who I first connected up with through the "George Jones Webboard", and John Morris, who Jim first introduced me to, have both been very helpful in making corrections and additions. Unfortunately, Jim Marchant passed away on April 6, 2010, his help in making this web site better is greatly missed. A couple more people that have helped are David Hannah and Larry Matthews, both have provided some great information. A big thanks to Phil Watson in England for sharing his information on George Jones. Phil has been working on a George Jones Discography, gathering session information details of George's work. If you have any information you would care to share with him you can contact Phil at howstean2@tiscali.co.uk. What would be really great, would be for someone who has the time and means to do the research at the CM Hall of Fame Library, researching the record companies George recorded for, and Musician Union records, and share that with Phil (Date of each session, session members, etc.). 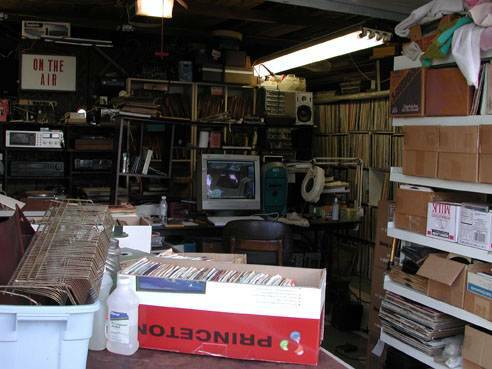 The data to put this web site together was gathered from the records and CDs I own, from old Schwann Record catalogs, listings of record albums in price guides, information from Magazines, Journals, Pamphlets and from surfing the web, especially ebay. After listing all of the information in the computer a sort was done by song title in order to determine if a given song had been recorded by more than one company. For instance The Race is On was recorded by United Artists then by both Musicor and Epic. So when one buys a compilation Record or CD it could be the recording from any of the 3 companies. The songs on the sorted list were given a number to correspond with each company. If it had been recorded by more than one company it was left blank. Then the list was resorted by Album/CD. If all the songs listed were from United Artists then any blanks for that album were most likely from the UA recordings. Not fail safe, but the most logical conclusion until proven different. Note: the exact title of a song in the listings may not match what is printed on a record album or CD. For example one might be able to find a song listed as "Just Someone I Used to Know" or "Someone I Used To Know" or "Girl I Used To Know", etc.. In order to maintain consistency in the lists I have made them all the same title. If you find some I have missed please let me know. NOTE: By request, I will, when time permits, go back through the hundreds of pages of downloaded material to change the song titles back to what was listed on the Album/CD listings. How did I manage to denote the classifications Only release, first release, first time on an album, Only time on an Album? All of the listings for Albums, CDs and singles were sorted by Name of the Song and by Date. If I only had a date for the year I gave it a date of 1/1/year, if I only had a date for Month and year I gave it the first day of the month. So what do I currently have in my George Jones collection so far? On the page of Album covers, the ones with the larger borders are in my collection. I have many duplicates of Albums, Singles and some CDs. If you would like to trade please email me. I have been a Country Music record collector since the 60's. Over the years the collection became too large to store in our office so it was moved to the garage along with all my recording equipment and a Mac computer. I am now in the process of recording all the records and saving them on CDs and DVDs. I have recorded all the George Jones material and am now in the process of comparing all songs from the compilation albums to determine which Record company they came from. Have we ever met the "Living Legend"? 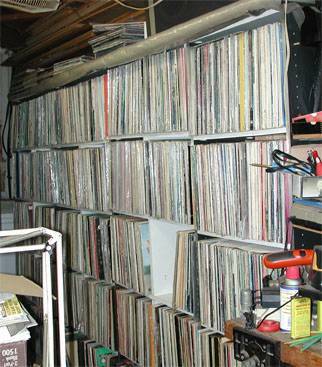 For a short story on how I got into this record collecting "career" . Record companies George had contracts with were Starday, Mercury, Untied Artists, Musicor, Epic, MCA, Elektra/Asylum and BNA/Bandit . Starday recordings were issued on company labels Nashville, Gusto, King, Hollywood, Deluxe and Federal, and more. Mercury recordings (some of which came from Starday) were issued on company labels Wing, and Polygram. In 1960 Mercury was purchased by Phillips which in 1972 was purchased by Polydor and in 1998 Universal which already had Jones' MCA recordings became the owners of Jones' Mercury recordings. United Artists recordings were issued on company label Liberty and later Capitol after United Artists was purchased by Capitol which is now owned by EMI, so some UA material has been issued under the EMI label. Musicor recordings were also issued on RCA and RCA Camden. The Musicor library was later purchased by GML which also owns the Starday library of recordings. Epic recordings were issued on company labels Columbia, CBS, Legacy, 51 West and now Sony which bought the Columbia/Epic libraries. MCA recordings were issued on company label Universal which purchased Polydor (see Mercury above). Elektra/Asylum recordings were purchased by Warner Records in 2000. Due to all the merges of record companies when you purchase a CD today that is put out by say Universal, you may think you are getting his MCA recordings but it is possible that the recordings not only came from the MCA vaults but could also be recordings from any number of the companies George recorded for. Universal which owns the Mercury and MCA recordings. Warner which owns the Elecktra recordings. EMI owns the United Artists recordings. Jones' work was also issued under the pseudonyms of Johnny Williams, Hank Smith, Hank Davis and Glen Patterson, but collectors should bear in mind that these names were also used for other performers. What would be really great would be for someone who has the time and means to do the research at places such as the CM Hall of Fame library, the record companies George recorded for and musician union records to compile a Complete Discography of George Jones' work (Date of each session, session members, etc. ).